GVL / Matt Read GVSU Student Senate on Thursday September 14, 2017. 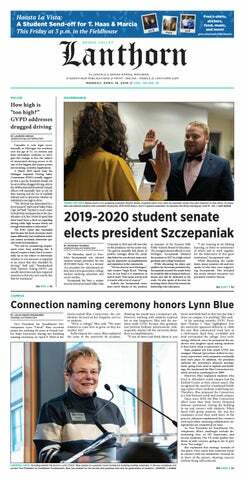 Last Thursday, Nov. 2, the Grand Valley State University student senate voted in favor of a fall break proposal, which was presented to the University Academic Senate Executive Board Friday, Nov. 3. Jonathan Bowman, president of student senate, is currently in discussion with faculty and administration on the proposed calendar changes. Bowman wants to assure GVSU students that he is serious about making a fall break a reality. While student senate and the College of Liberal Arts and Sciences (CLAS) sponsor a fall breather for a weekend in October, Bowman said it wasn’t very successful because students were still assigned homework during that period. Dan Ziegenfelder, vice president of student senate, pointed out that instituting a fall break on campus is not solely about giving students a break from their schoolwork but is also about giving them more time to finish assignments and assess how the semester is going. Ziegenfelder said GVSU looks far ahead when making the calendars. Because of that, many events are already scheduled for next fall, and changing the calendar so suddenly would be disruptive. Plus, it wouldn’t give professors much time to change their curriculum. Felix Ngassa, professor of chemistry and chair of the University Academic Senate (UAC), said many faculty members are wondering how the break might affect their curriculum, with lab courses and clinicals especially affected. Ngassa thinks presenting a variety of proposals to faculty and administration would be favorable because it would allow them to decide which proposal they think would be the best fit for their department and the university as a whole. With that said, Ngassa thinks a fall break would be beneficial to retaining student enrollment at GVSU. With that time off, even just a few days, students could return to their classes feeling refreshed.